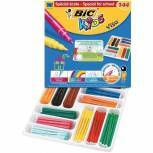 Bic Kids Visa Felt Pens Ultra Fine Tip Assorted (Pack of 36) 829012 Pack of 1 Bic Kids Visa Colouring Felt Tip Pens Fine Assorted Pack of 36 829012. Fine 2mm tip. Cap off time of up to 3 months. Ventilated cap. Washable ink. 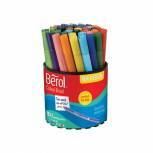 Berol Colourfine Pen Assorted Water Based Ink (Pack of 12) CF12W12 S0376340 Pack of 1 Berol Colour Fine is a long lasting Fibre Tip Pen with water based ink, excellent for detailed colouring and drawing. Line width 0.6mm. Assorted Wallet of 12. 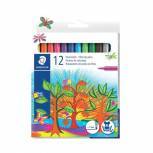 Berol Colourbroad Pen Assorted Water Based Ink (Pack of 12) CB12W12 S0375410 Pack of 1 Berol Colour Broad is a long lasting round ended fibre tip pen with water based ink, excellent for colouring and drawing. 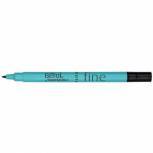 Line width 1.7mm. Assorted Wallet 12. 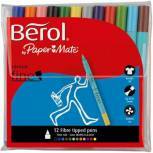 Berol Colourbroad Pen Assorted Water Based Ink (Pack of 42) CBT S0375970 Pack of 1 Berol Colour Broad Pens. 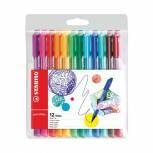 Round ended fibre tipped pens suitable for colouring large areas or creating bold illustrations. The ink can also be worked with a wet brush to create a subtle wash effect. Supplied in an Assorted Tub of 42. 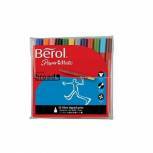 Berol Black Water-Based Colourfine Pens Wallet (Pack of 12) S0376300 Pack of 12 Berol Colour Fine is a long lasting fibre tip pen with water based ink, excellent for detailed colouring and drawing. Line width 0.6mm. Colour - Black. 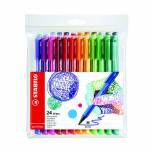 Staedtler Triplus Color Fibre Tip Pen Assorted (Pack of 10) 323SB10 Pack of 10 Fibre-tip Triplus colour pen with sturdy, pressure resistant tip. Ergonomic triangular barrel. Washable water based ink. Line width 1.0mm. 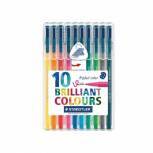 10 assorted colours. 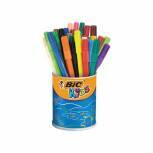 Bic Kids Visa Felt Pens Fine Tip Assorted (Pack of 84) 829013 Pack of 1 Easy to hold and ideal for children aged 3 and over. Can be left uncapped for at least 2 months (excludes black). Water based ink is washable on most fabrics. Nib has excellent resistance to being pushed in. 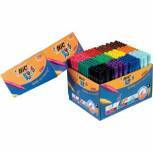 Nib size 2. 0mm. Ventilated cap. 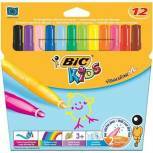 Bic Kids Assorted Visa XL Felt Pens (Pack of 12) 829007 Pack of 1 Easy to hold and ideal for children aged 3 and over. Can be left uncapped for at least 2 months (excludes black). Water based ink is washable on most fabrics. Nib has excellent resistance to being pushed in. Nib size 4.5mm. Ventilated cap. 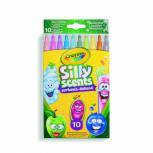 Bic Kids Visa Felt Pens Fine Tip Assorted (Pack of 144) 887838 Pack of 1 Easy to hold and ideal for children aged 3 and over. Can be left uncapped for at least 2 months (excludes black). Water based ink is washable on most fabrics. Nib has excellent resistance to being pushed in. Nib size 2. 0mm. Ventilated cap. 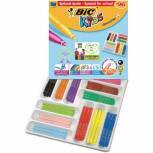 Bic Kids Visacolor XL Felt Pens Assorted (Pack of 96) 887839 Pack of 1 Easy to hold and ideal for children aged 3 and over. Can be left uncapped for at least 2 months (excludes black). Water based ink is washable on most fabrics. Nib has excellent resistance to being pushed in. Nib size 4.5mm. Ventilated cap. 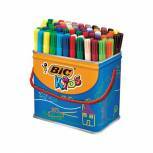 Bic Kids Visa Felt Pens Fine Tip Assorted (Pack of 288) 897099 Pack of 1 Easy to hold and ideal for children aged 3 and over. Can be left uncapped for at least 2 months (excludes black). Water based ink is washable on most fabrics. Nib has excellent resistance to being pushed in. Nib size 2. 0mm. Ventilated cap. 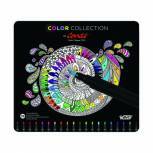 Maped Color Peps Jungle Innovation Colouring Pens Assorted (Pack of 12) 845445 Pack of 1 Helix Color'Peps Jungle Innovation Colouring Pens Assorted Pack of 12 845445. Unique design with caps integrated into base of pen holder. Compact desing folds up to fit in a pencil case. Blocked, conical tip. 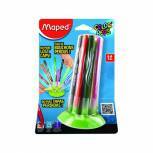 Maped Jungle Innovation Colouring Pens Assorted Pack Pack of 1 Helix Color'Peps Jungle Innovation Colouring Pens Assorted Pack of 12 845445. Unique design with caps integrated into base of pen holder. Compact desing folds up to fit in a pencil case. Blocked, conical tip.